Over the years of the developing judicial review of ministerial and governmental decisions, Louis Blom-Cooper was a leading advocate who grew up with the advent of a distinctive brand of public law. 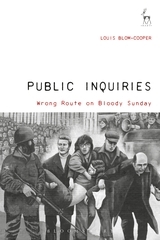 His range of public activities, both in and outwith the courtroom, saw him dubbed by his colleagues as a polymath practitioner.It included chairmanship of plural public inquiries in child abuse and mental health, media contributions in the broadsheet press and in broadcasting, and innovation in penal reform, as an ardent campaigner for the abolition of capital punishment and a plea for a modern Homicide Act. He styled himself as a modern, reconstructed liberal – a man before his time. 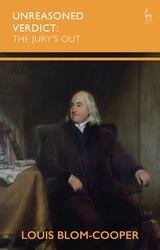 This collection of essays is uniquely prefaced by a self-examination of his unorthodox philosophy towards the law in action. It covers a variety of socio-legal topics that expresses his ambition to inform a poorly-educated public on the workings of the legal system. This aim involves a discussion of the constitutional history of Britain, unwritten and insufficiently interpreted; it reflects a commitment to the European Convention on Human Rights and portrays its international origins. The collection opines on crime and punishment; in the functioning of the courts and elsewhere the political shift from the penal optimism of the 1970s to the reactionary punitiveness of the post-1990s. 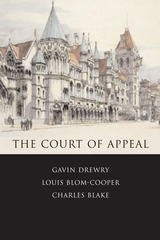 The essays conclude with a miscellany of affairs, reflecting on professional practices and their product of judicial heroes in Lord Reid and Lord Bingham. 14 The Magistracy – a Professional Court? 15 Serious Fraud Offences: Whither Their Trial? 24 Press (Media) Freedom: Constitutional Right or Cultural Assumption? 33 Lord Denning's Legacy: a Judicial Misfit? 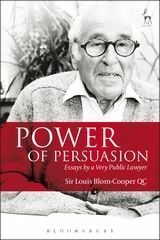 Too often, learned legal memoires do not shape up the way we would expect them to...Not so with Louis Blom-Cooper...The mark of a great advocate is the communication of information in a simple and clear manner and that is what we have with “Power of Persuasion”. “The book covers extensive ground...[the] essays reflect the multi-faceted career of the author...” – Commonwealth Lawyers' Association and Contributors 2015.